Looking to Sell? Call The Kathye Warfield Team! As with most things, real estate agents have to "think outside the box". The internet has changed the way buyers search and find their home. Many years ago, a buyer would go to a local real estate office and explain their dream home to the agent. The agent would look through a book and take them to look at a few homes. The problem was that there was only one picture...in Black and White! The problem was that the buyer, and sometimes the agent, didn't know what was behind "the door". Have you ever heard "A Picture is Worth a Thousand Words"? The Internet is perfect for real estate! Pictures, videos....everything the busy buyer needs and wants with their busy lifestyle! 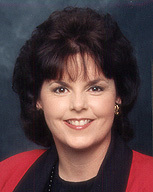 As the first agent in Pearland to obtain a personal website, Kathye has long been ahead of other Realtors! Now, with multiple domain names and websites, Kathye's Team is still ahead of the curve. 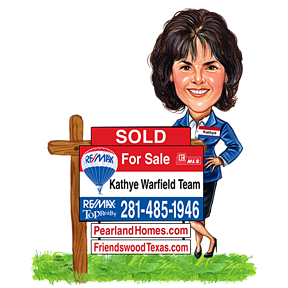 Kathye's primary market areas include Pearland, Friendswood, Houston, Clear Lake and League City. Many buyers are familiar with search engines and Kathye's website www.PearlandHomes.com is routinely in the #1 position on Google when searching "Pearland Real Estate" and often ranks #1 on Yahoo and other sites as well. Why is this important.....because the buyers are searching the internet....looking for their home! Where will your home be when that buyer begins their search?